Mt. Airy Art Garage (MAAG) is proud to be launching our Community of Pride Mural Project in two local elementary schools this week! The Community of Pride Mural Project begins with a conversation. 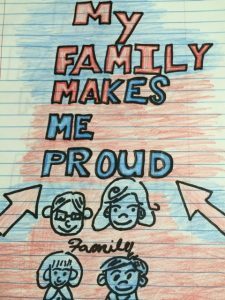 We are asking students at Eleanor C. Emlen and Henry Houston public schools “What makes you proud?” Answers range from friends and family members, to more abstract ideas, to personal collections or achievements. 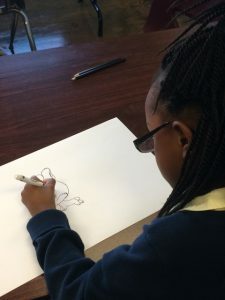 Over the next four months, through weekly art classes lead by MAAG professional artist teachers, the children will develop and fully realize their ideas and images. MAAG artists will design a unique mural for each school consisting of these original drawings. The murals will be painted by the students and publicly installed in each school, so the children can see their work every day, honoring their collaborative effort while simultaneously providing a source of personal pride. When asked why they wanted to create a mural, one 5th grader from Houston said “Teamwork makes the dream work!” It is precisely that spirit we embrace in this project. The goal of the project is to deepen a sense of community spirit and pride, using art as a means of communication among the children. The project will aid in building a culture of goodwill that cuts across political or cultural differences and even embraces them. This project is about enriching children’s lives, offering inclusive opportunities, and sharing the positive rewards of making art together. The participating schools lack art programs or funding for more creative programming. 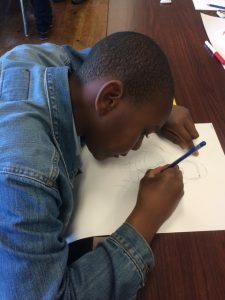 MAAG artists will be guiding the students in making personally expressive imagery that will become incorporated into the larger collaborative images. The transformative power of authentic art experiences, especially in the lives of children who are disadvantaged, cannot be underestimated. Being surrounded by one’s own artistic renditions and sharing them with peers builds communication skills, confidence, and self-esteem. 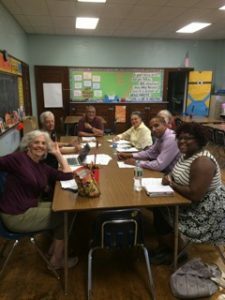 As a community arts organization, it is critical for us to support the schools and children in our community. For more information and to learn how you can help, or to track the project’s progress, follow Mt. Airy Art Garage on Facebook and Instagram, or visit www.mtairyartgarge.org. You can also track #MAAGPopsUp on social media platforms. Multiple MAAG Artists Under One Roof For Philadelphia Open Studio Tours (PO... Quilt Time Launches In A New Location!